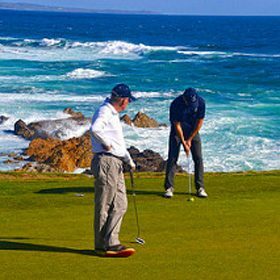 Do you need to get away, and you enjoy playing some of the newest and most scenic courses in Australia? Then look no further than our golf accommodation. Not only do you get to explore an island paradise, but you get to be on the green all the time. After a day on the fairway (not in the bunkers we hope), you can relax in our enclosed BBQ area, or enjoy a drink around our open fire pit. Being centrally located, the “Breeze” allows flexibility to have dinner at the motel, or go out to one of the many local restaurants and pubs. 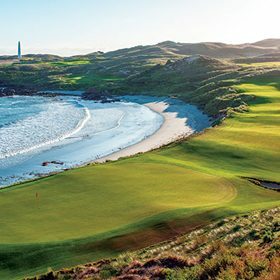 Reviews of the new courses have resulted in Cape Wickham ranking number 1 in Australia, while Ocean Dunes is now ranked number 4. Currie, Grassy and Naracoopa all offer a choice of dining opportunities with menus, featuring our best local produce. The community is very small and sometimes our hard working chefs, baristas and wait staff like to head to the beach too, so you’ll need to pay close attention to what establishment is open at any particular time. These restaurants and cafes are located close to your accommodation, making your meal choices flexible and relaxed. Don’t rush – you’re on an island. Anyone can catch a fish here. Squid, sweep, salmon and gummy are all on the menu, with snapper and other choice fish available if you’re keen. Your island accommodation is surrounded with pristine beaches and access through private land is fine if you leave the gates as you find them. 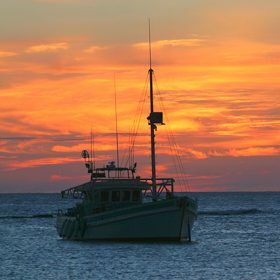 The Wharfs at Currie, Grassy and at the famous Naracoopa Jetty, will always yield fish and have a chat to Terry at Terry Perry’s store in Currie to get the latest tips and stock up your fishing equipment and baits. If you are looking for a charter, then consider Proline Charters. 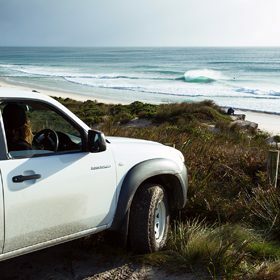 They service King Island when the fish are about, so visit their site or call. For the adventurous, a great way is to discover all of our natural wonders on horseback. 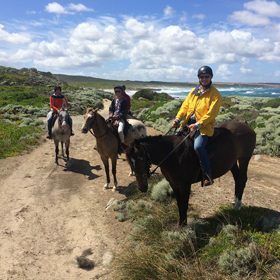 King Island Trail Rides will guide you in this extraordinary experience along coastal trails and pristine beaches. Take a guided tour, or discover the beautiful land at your own pace. 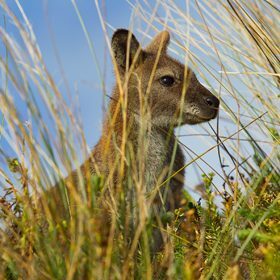 For more ideas visit King Island Tourism. 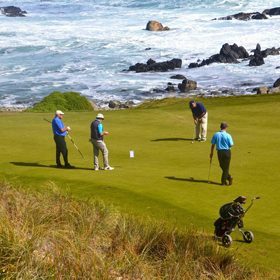 Whether you play golf, enjoy gourmet dining, or simply want to enjoy time on a pristine island, then , Island Breeze Motel is ideally located for you to play as much golf as you want. 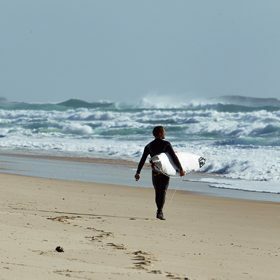 To make a booking, please call (03) 6462 1260, or email enquiries@islandbreezemotel.com.au today. 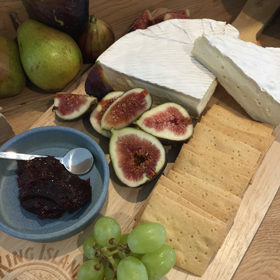 A trip to King Island is not complete without a visit to the King Island Dairy Cheese Store. 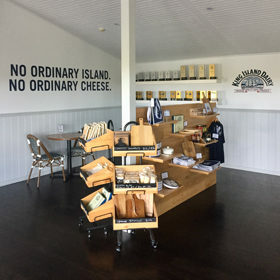 A paradise for cheese lovers, the store features many cheeses from their award winning range available for tasting and purchase. 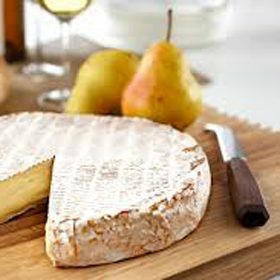 Enjoy a cheese platter or baked brie over a glass of Tasmanian wine or craft beer. During summer, opening hours are seven days a week, 10am – 5pm. 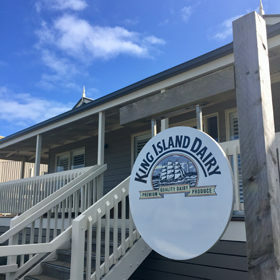 Visit kingislanddairy.com.au for reduced winter trading hours. Located at 869 North Road, Loorana, just five minutes from the airport and ten minutes from Currie. Phone: 03 6462 0947. Email: kid.store@lionco.com today.